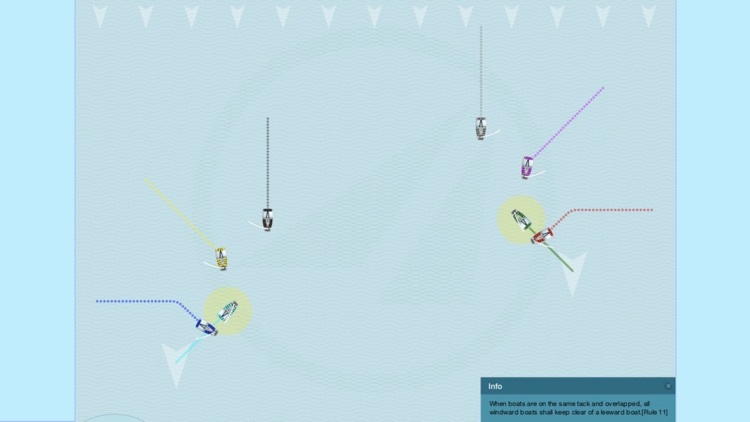 Whether rookie or experienced regatta sailor, everyone interested in the sport of sailing can find a selection of the four most important tips needed to steer your boat with the "Right of Way" against other boats powered by the wind. 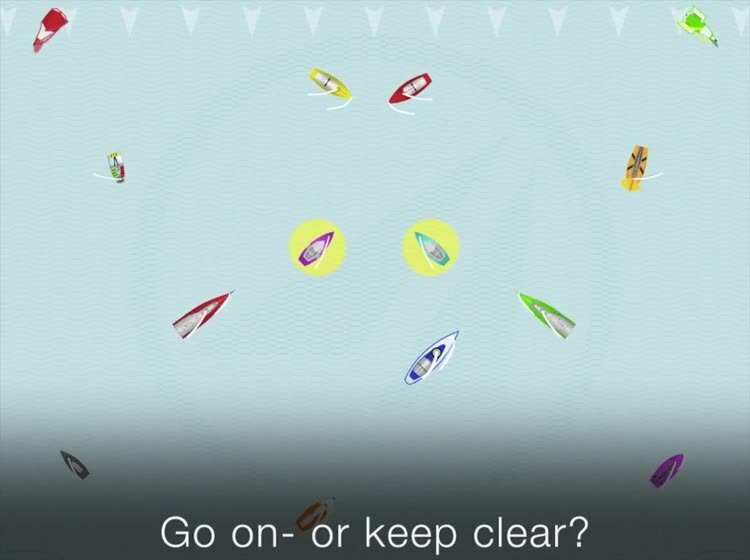 It is always good to know the rules a little better than the boats around you, and these video clips will help give you that advantage. The animations are presented as video clips, and comments can be printed out (pdf) as an extension to the tips and their simulated scenes, which you should watch on your iPhone or iPad. 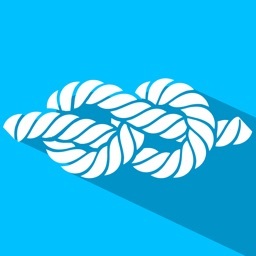 After downloading them, you can use the tips without internet access to take with you on your yacht. 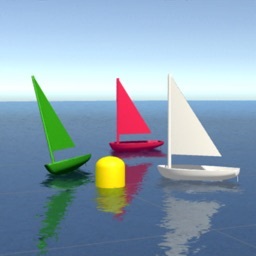 1.When boats are on opposite tacks the port tack boat shall keep clear of a starboard tack boats(Rule 10). 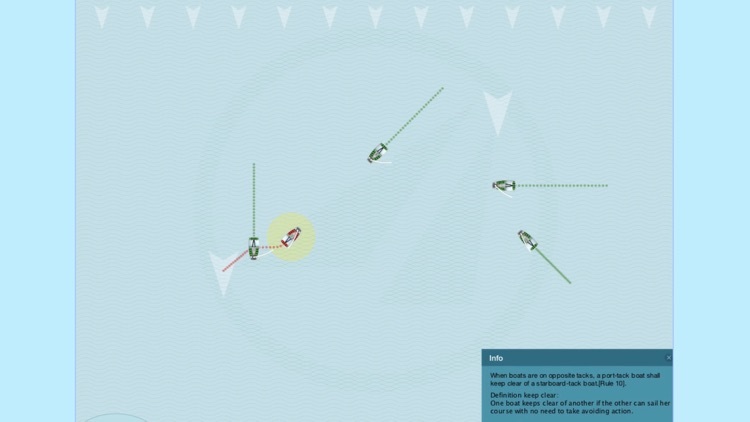 2.When boats are on the same tack and overlapped, the boat to windward (the boat closest to the wind) shall keep clear of a leeward boat (Rule 11). 3.When boats are on the same tack and not overlapped, the boat that is astern shall keep clear of the boat ahead. (Rule 12). 4.When a boat is tacking (changing tack) it shall keep clear of boats that are not tacking (Rule 13). 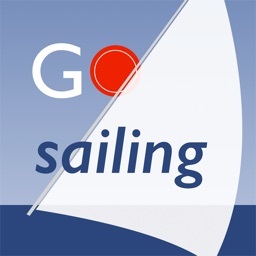 iPhone, iPod and iPad: This App, however, is only the first step into the world of sailing. Designed for iPad, it will also display on iPhone, naturally with smaller sized videos. The 10 tips are without sound due to memory space restrictions (150 MB). Therefore, the text is a useful extension for iPhone because of its small font size, print and you can read the comments in a .pdf file. The video clips are also able to be viewed on Apple TV. 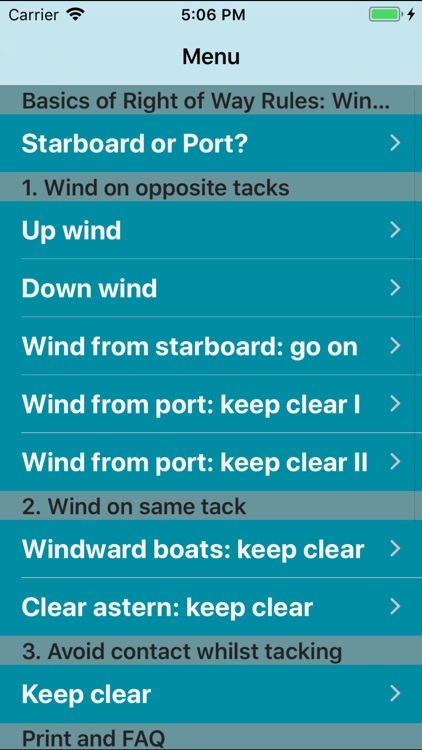 These tips - and a further 40 tips - are part of the game: "Tactical Sailing - A Game Against the Wind", “Boat Against Boat” and "Coach´s Toolbox". 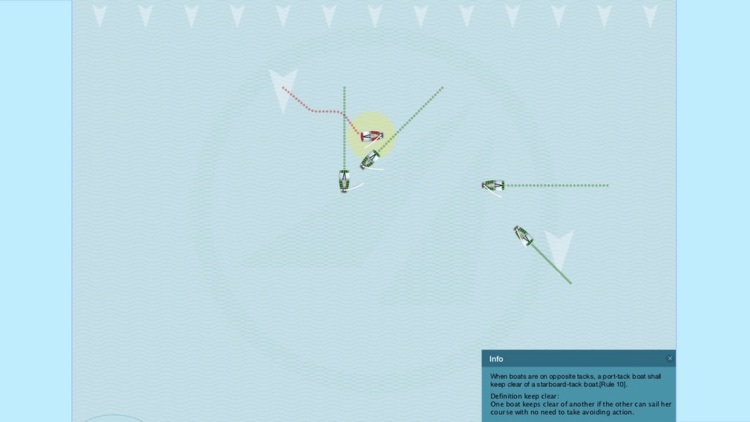 If you want to have fun with a powerful Tactic and Strategy game, see a demo for free and order it on our website: www.Tacticalsailing.com. Runs on Mac and PC. 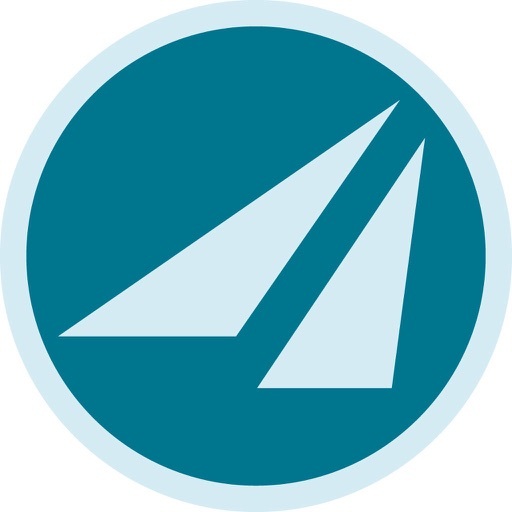 Keep in touch with other Tactical Sailors and coaches, see the race board, news and Info online. © Title Photo: Fried Elliott.